The air is crisp and cold. alongside the cars, eying the current. in shades of rose, umber and carmine. blooming goldenrod and early asters. Blue mountains fade to gray. Those are the White Mountains in New Hampshire, a National Forest and lovely place. I’m lucky enough to live pretty near several National Forests. New Hampshire has horses, but not wild ones. And lakes, lots of lakes and rivers. The mountains were beautiful! And I have more pictures from VT coming. Yes, it’s very different than our usual surroundings. 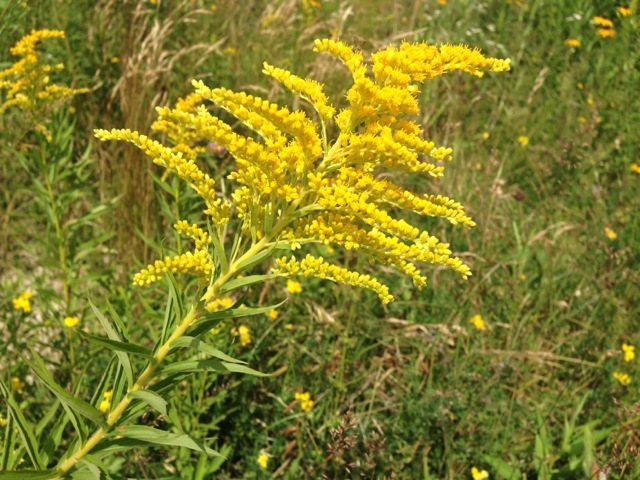 The goldenrod is so beautiful, but not so great for allergies. 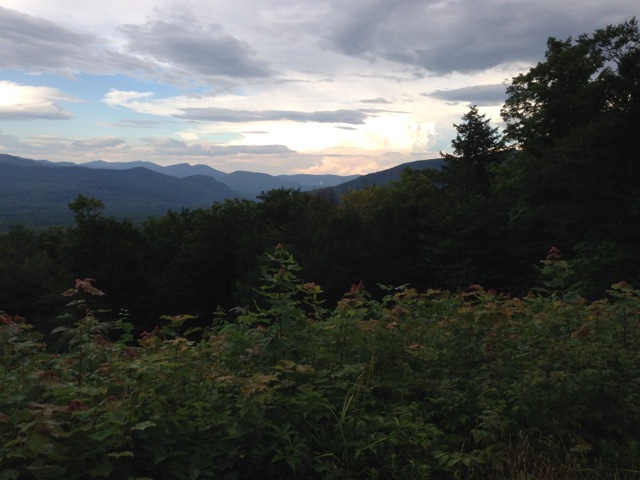 I hope to experience a little bit of the mountains in New Hampshire this summer on a hike with my daughter. These pictures are very inviting. It’s worth doing. I highly recommend both the Flume Gorge and Lost River Gorge near Lincoln if you don’t mind an admission fee. They are beautiful. Not as grueling as hiking a 4000. What an interesting name for a byway… I enjoyed your post as usual. indeed it is, and the sun will rise upon the mountains once again.